Mid-sized stocky mammals up to three feet in length and 41 pounds in weight. 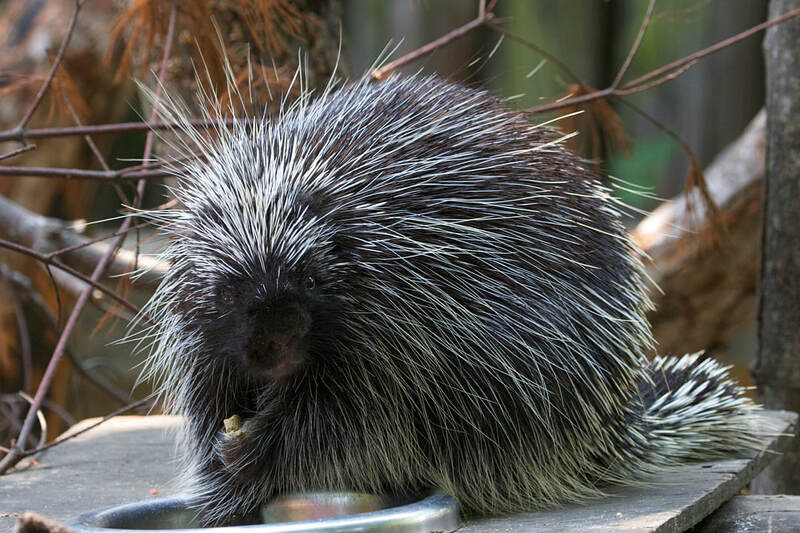 Porcupines have thick bodies, round heads, short legs, feet adapted for climbing and a muscular tail. They are covered with up to 30,000 hollow, pointed modified hairs called quills. They also have stiff guard hairs which provide a valuable sense of touch and wooly underfur which provides warmth. Their color varies from yellowish to black. Coniferous and deciduous forests (up to 70 feet high in trees). Most of forested and mountainous North America, except the southeast. Buds, seeds, shoots, leaves, fungi, bark (especially inner tree bark). Porcupines are solitary. They mate in fall or early winter. A single offspring is born after a seven month gestation. The well-developed young weigh about 3 pounds at birth, climb trees in two days and become sexually mature in their second year. Generally common but threatened regionally by habitat loss such as development and clear-cutting. ​Can you name a mammal that will gnaw on axe handles and baseball bats? 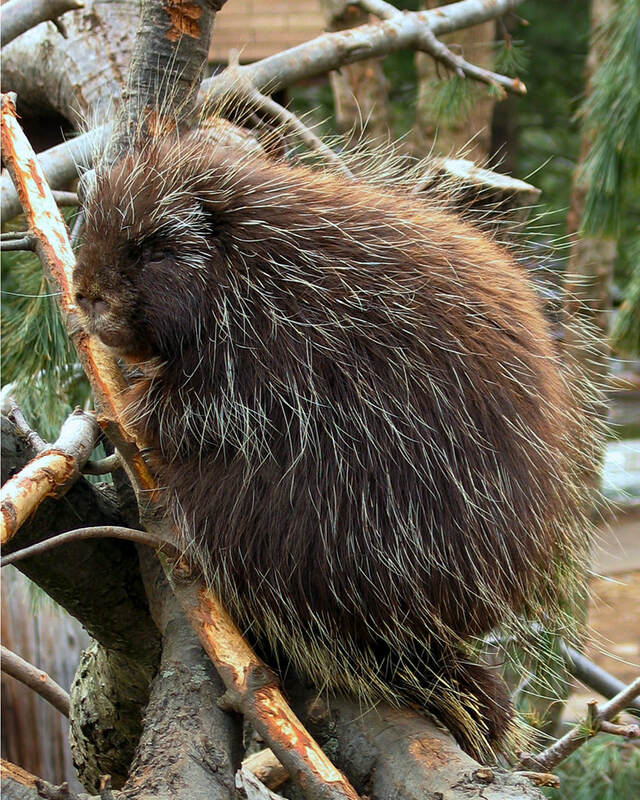 Answer: Erethizon Dorsatum: The North American Porcupine. North American Porcupines will gnaw on wooden hand tools, baseball bats and canoe paddles to extract salt from human perspiration. Porcupine quills are soft at birth and harden within one hour. The stiff quills on the underside of their tails act as climbing spikes to brace them as they descend trees.